Do you need generic or decorative licensed tinware? Perhaps you would like to order custom tin products? Leave everything to Tindex Sales & Manufacturing in Pointe-Claire, QC. Our company offers a wide variety of tin products that can be specifically designed for your specific needs. We are a licensee for global companies, such as Disney© and Universal Studios©, and we also offer a full line of Coca-Cola tabletop, tinware, glassware, and gift sets. 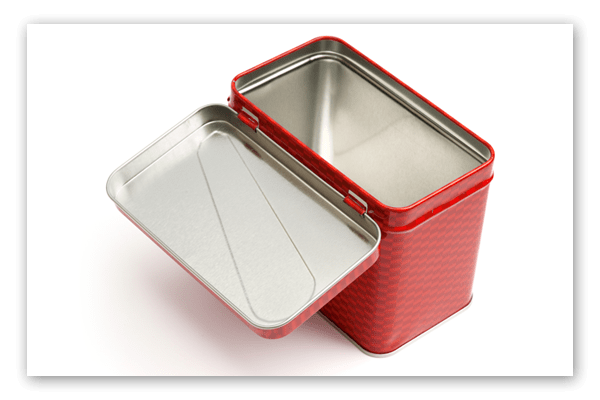 From carry-all tins to metal napkin dispensers, we have you covered. Order Custom Tin Products Today! Get personalized tin products and giftware. Discuss your needs with us. We will gladly walk you through your options depending on your budget, preferred time frame, the type of material to use, and the design you like. Book an appointment today! Call us using the contact information provided on this website for more details regarding our top-quality tin products and how we can be of service to you.